Upright on a central post or placed on a counter, you can put this kiosk anywhere: the Speedlab® Mini is ultra-compact, simple and modular, with a footprint of only 0,40 m² and a weight of only 37 kg! 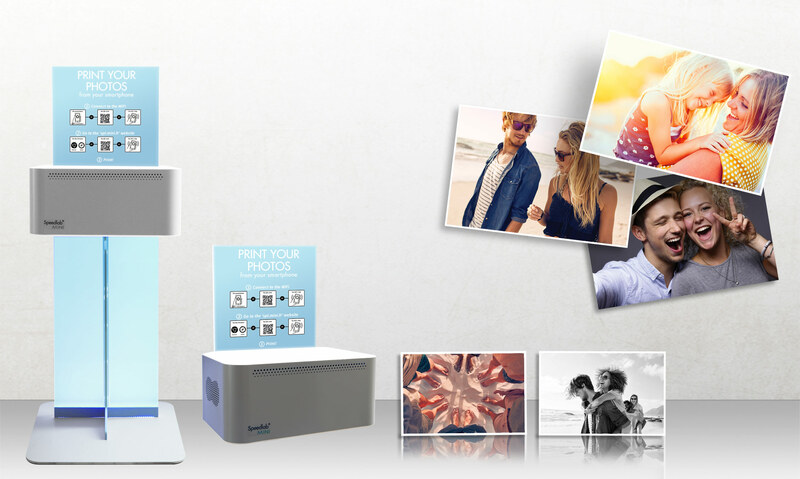 Offer your customers an intuitive experience: the users activate WiFi on their smartphone, connect to the Speedlab Mini network, select their photos and print directly from the phone in a few minutes! Payment is made contactless via a secure system. KONTAKTIEREN SIE UNS, um mehr über diesen Apparat zu erfahren, und besuchen Sie uns auf Facebook !